Equilibrio, a super-premium brand of pet foods, launched today its new line of products, formulated with high-quality raw materials and selected ingredients, providing better digestibility and flavor for the satisfaction and feeding of cats and dogs here in the Philippines. Each of Equilibrio’s recipes and snacks has high nutrient assimilation, which helps in the reduction in stool volume. They are also specially manufactured with nutraceuticals, such as Yucca schidegera that reduces stool odor, as well as prebiotics and probiotics that improve bowel transit time. With its updated and modern formula, Equilibrio’s products are compatible with the highest nutritional concepts. Among its offerings are for Small Breed, All Breed, and Large Breed Puppies and Adult Dogs; as well as for Kittens and Adult Cats. Even Veterinary Lines suited for pets that have special needs. 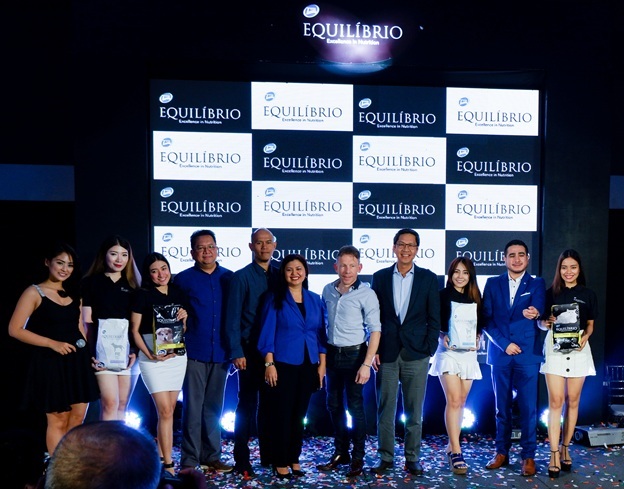 Equilibrio products are now available for Filipino customers in selected credible pet food stores and veterinary clinics. Neovia, makers of Equilibrio products, is a leading player in animal nutrition and health that operates in seven business lines such as complete feed, aquaculture, pet care, premix/firm services, additives & ingredients, animal health, and analysis laboratories. To know more about Equilibrio, visit Neovia Philippines’ website atwww.ph.neovia-group.com.